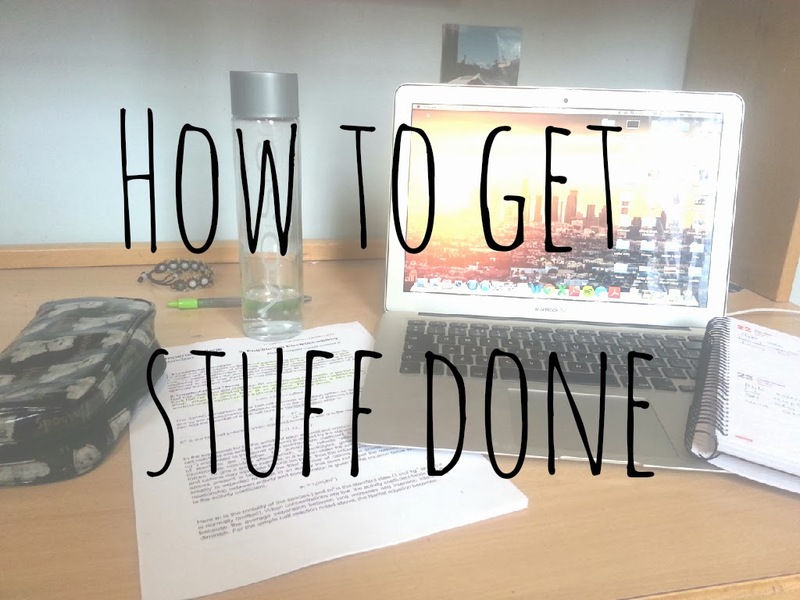 How to get stuff done! | RAWR BOWS. 1. Stay organised. If you know exactly what you have to do that day you are more likely to do it. I would recommend getting a planner and on Sunday afternoon write down what you have to do every day the next week and keep adding things as you go along the week. The feeling of crossing everything is so satisfactory you will want to do it. 2. Take breaks. Don't try to work for 8 hours straight, it's not gonna happen and you will end up doing nothing. What I do is work for an hour and then take a 10-15min break and watch some YouTube videos, go on Tumblr, eat something... This way your brain gets to relax a bit and doesn't get too exhausted. 3. Drink water. Water is not only very good for you overall but it will help you stay awake and feel refreshed. 4. Wear comfortable yet cute clothes. If I wear sweatpants and big old t-shirts I feel like sleeping or just laying in bed and watch a movie, not like working. I like to get ready before doing any work. I don't mean wearing a dress and heels but maybe leggings and a jumper. It makes me feel more awake and ready to work. 5. Listen to music. Unless I am revising I like to listen to musics whilst I am working. This makes the work more enjoyable and easier to deal with. I usually listen to Lana Del Rey as her music is rather quiet.